Knowing your customers is easy. Interpreting the stories told by their data and product usage, however, is not so straightforward. Having a deep, data-driven understanding of your customers can make the difference between securing your next round of funding and your company going extinct. When entrepreneurs pitch us their SaaS (Software as a Service) companies, we always ask how they work with and interpret their customer data to improve processes across their business. If the answer is “I don’t know,” that’s a major red flag. Customer data, properly analyzed, allows you to make intelligent, value-driven product decisions, and a thoughtful product is what keeps your SaaS startup positioned to win. If you haven’t created a customer data analytics strategy, do it now. That data strategy might save you when you start looking for your next round, and more importantly, help you better serve and keep your customers. It’s important to build “an economic moat” to protect your business from future failures—a sustained competitive advantage that differentiates you from competitors for years to come. In SaaS—the type of investments I specialize in—a common advantage comes from network effects. The bigger you are, the harder it is to compete against you. You can’t build a moat, or competitive advantage, without diligently studying your customers. The data will tell you what customers are doing with your product. Their stories allow you to provide a sophisticated service that fosters a loyal, even loving, user base. In 2015, building that economic moat requires a good data strategy. If you’re not using standard tools to track customer behaviors, you’ll likely develop the wrong features and could also miss out on major opportunities to better serve your customers. Your product roadmap won’t reflect what customers need moving forward, and you’ll build in the wrong direction. Not all features are always used as intended and the data might surprise you. If you don’t understand what your customers are really asking for and your competition does, it becomes hard to compete and even harder to win. Use data as your compass. Your VCs will see what you’re doing and nod from across the boardroom table. If you and your VC ever disagree, the data will make a more persuasive argument than you ever could. Today our CEOs run companies and project into the future in a fundamentally different way than we did even five years ago. A large amount of our board oversight involves some kind of interaction with data from our portfolio companies. The data makes the case for when to invest in customer success, when to reshuffle a sales team, scale internal infrastructure or pull the plug on something that isn’t working. For example, when the CEO of our portfolio company GameSalad wanted to shift their business to a subscription pricing model for their customers, customer focus group data was crucial to getting both the internal management team and the board fully on board with the decision. Pivots are always hard, but basing a decision on true user data feels a lot better than basing a decision on gut instinct, and shows your VCs that you are making an intelligent, informed decision. VCs have an obligation to help companies grow as fast as possible, and to do that we need to make quick decisions. It’s impossible to really understand what’s going on with our companies without looking at your data in aggregate. We’d be investing blindly without it. What types of data should you measure? We want to know that your company understands not only what your customer told you overtly, but what your customer told you through their behavior (data). For example, when our portfolio company Datical was assembling their requirements for their latest version of their product, Datical DB, they took a hard look at their user’s pain points and goals and built a solution exactly around their real-world problems. The behavioral data even varied from what customers verbally demanded, enabling the product team to combine offline and online insights to build a solution that everyone loves. That’s the power of characteristic data. If you can’t answer the questions we invariably ask about it, we are likely to think you got lucky and hit an initial vein of customer interest. In most cases, you will not be able to sustain the interest without knowing the true needs of your customer. We also examine customer churn and how it compares against MRR expansion. When a startup is experiencing a higher churn rate, it indicates an underlying issue. The company might be tackling the right product problem, but not delivering the solution the customer is looking for. Or, it could mean the company solved the problem and after initial use the customer didn’t have a recurring product need. In these cases, the startup team got the first step right, but failed in execution, customization, or customer interaction. Companies that don’t have rigorous procedures in place for understanding customer data tend to see churn rates creep up linearly, because they’re failing in these second or third steps. If you’re not measuring data, you’re not in the game. If you’re competing against another startup that has just as rigorous a data strategy as you—soon that will be every company, regardless of industry—that can actually be a good thing. You can both analyze the same data set, focus on slightly different target markets, and in many cases co-exist. If you’re competing against big corporations, which many startups are, then customer analytics lets you go after a very specific target with a very specific solution. Those types of startups tend to grow quickly, because the large incumbents move too slowly to keep up with innovation, or just aren’t savvy enough about their own data analytics. VCs feel more comfortable investing in companies with a sophisticated understanding of data and the metrics that drive growth. If you’re able to make predictions based on how your customer base is growing and behaving; and then, months later, reliably realize those predictions, that might be all you need to secure your next capital round. One of our portfolio companies, TrendKite, did this so consistently that the inside investors jumped at the opportunity to lead a second round of financing in under a year, well before the company needed more capital. TrendKite’s existing investors led an inside round because we felt so comfortable with the company’s business building decisions, which were completely backed up with data. If you’re not data-driven yet, the above example illustrates just how powerful a data strategy can be, not just in terms of running your business, but in terms of helping investors trust you. Data isn’t just a fancy luxury, it is the crucial tool separating you from the competition. And that’s what will really help you win. Raising Capital: How Much, When, From Whom? 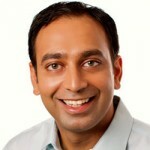 Aziz Gilani has spent the past 15 years focused on software and the internet. Prior to joining Mercury Fund, Aziz was a Senior Engagement Leader with Infosys Consulting, an early executive at ABB Performance Services, a Senior Consultant at Cap Gemini Ernst & Young, and an Analyst at Lotus Development Corp. Aziz is a recognized expert in Seed Accelerators, and has been quoted in several national publications including The Wall Street Journal, The New York Times, BusinessWeek, ReadWriteWeb, TechCocktail, and The Business Journals. Thanks for the mention, Aziz. At Datical, understanding the customer pain using market validation is key. If a founding team can’t contact 100 prospects to validate the pain, then how are they going to sell the solution to the pain? How are they going to build and train a sales team to grow the company? This isn’t something you want to just hire somebody to fix for you. This is a core competency for a founding team. Secondly, having customer behavioral data will help you determine if your solution is a vitamin or a pain reliever. Life pro tip: you want your product to the be the later.. If not, then you need to figure something else out. Finally, some of those 100 people will be very interested in your product, others won’t. You need that data to have your early qualification questions established for you. I’d much rather listen to the market than make guesses. We found early on that having many databases from multiple vendors AND building custom applications was a key indicator of potential interest. Thus, we avoided mono-vendor companies using COTS applications. That saved us a ton of time and resources.